Lately I’ve been spending some time in Denver, Colorado. 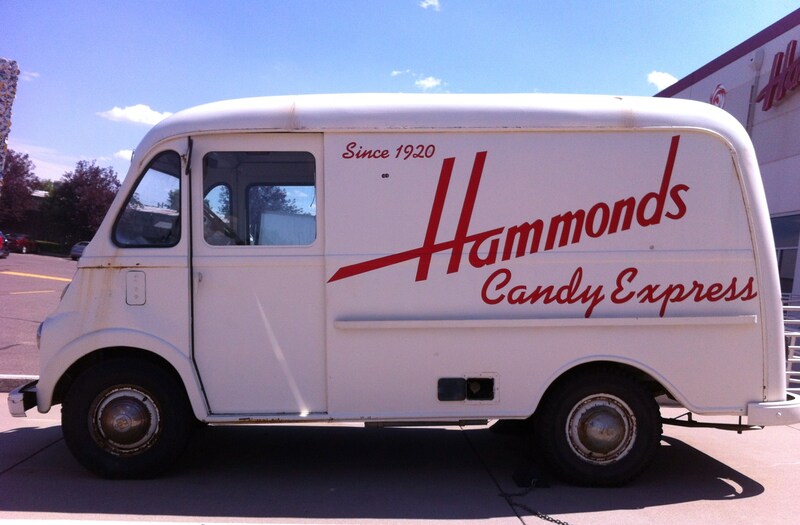 …..until I saw this great old delivery van in the factory parking lot. Attached to the factory is the retail store. Y’all know that I love a vintage sign…and this glorious piece of neon used to hang outside the original Hammond’s candy factory before they moved. Now it hovers over the bulk jelly beans. 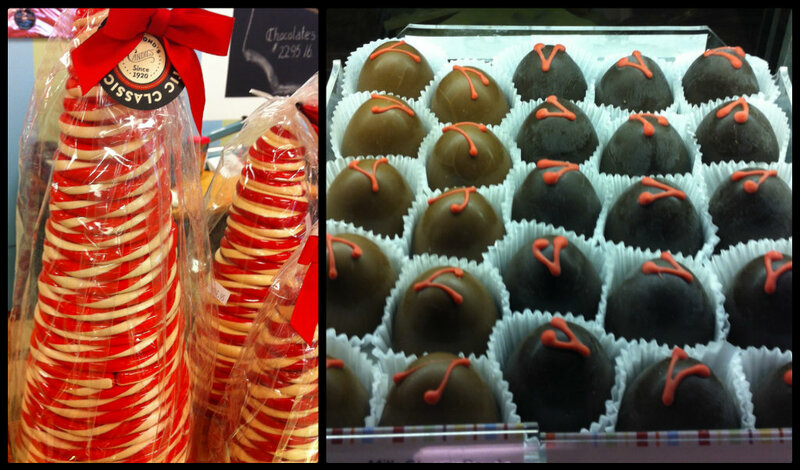 The store is just packed to the brim with sweet, sweet goodness. 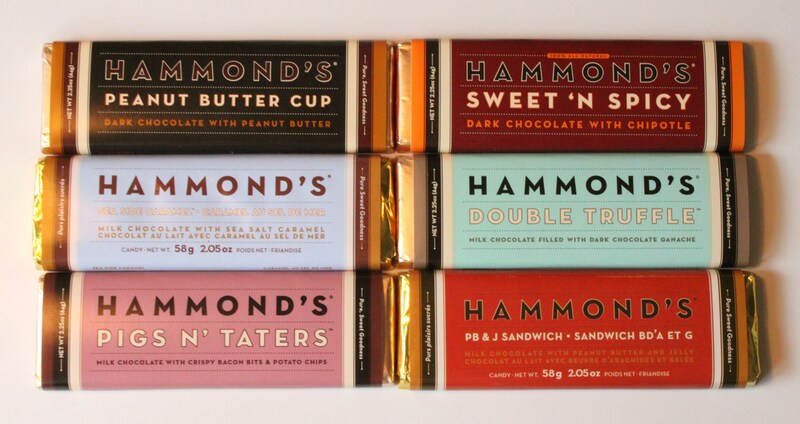 The Hammond’s chocolate bars are out of this world. Peanut Butter Cup, Chipotle Chocolate, Salted Caramel, Double Truffle, PB & J, and …..OOOOOH MY LORD…..Pig’s N’ Taters (chocolate covered bacon and potato chips). 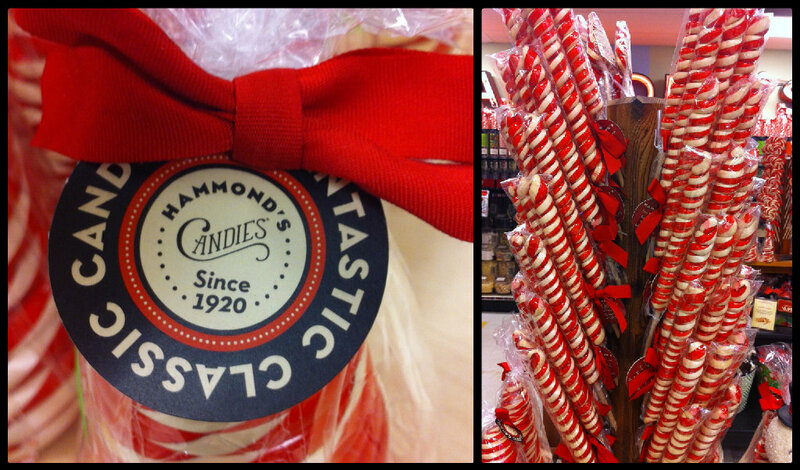 But what most people know Hammond’s for is their big, beautiful, hand-made candy canes. 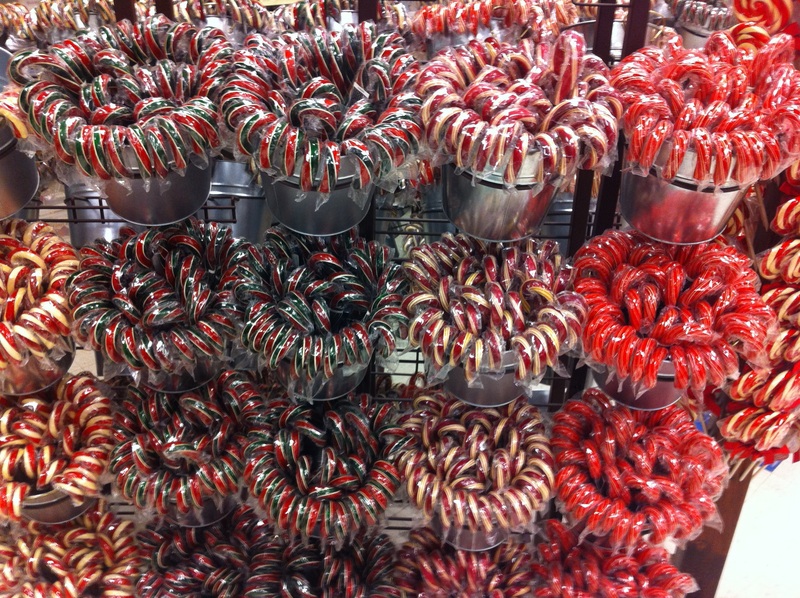 They are rolled, twisted, cut, shaped and bagged entirely by hand……I should know, I saw them do all those things on the factory tour. 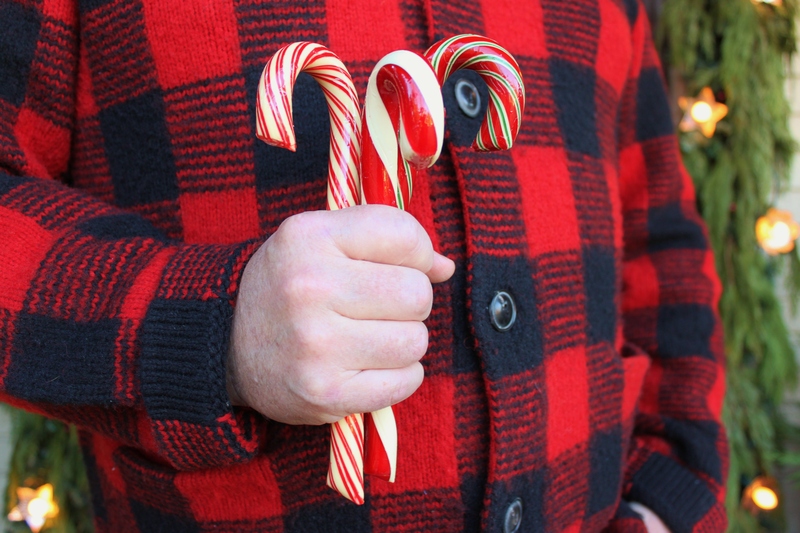 They come in flavors like apple pie, butterscotch, pumpkin pie, root beer, cherry and clove. 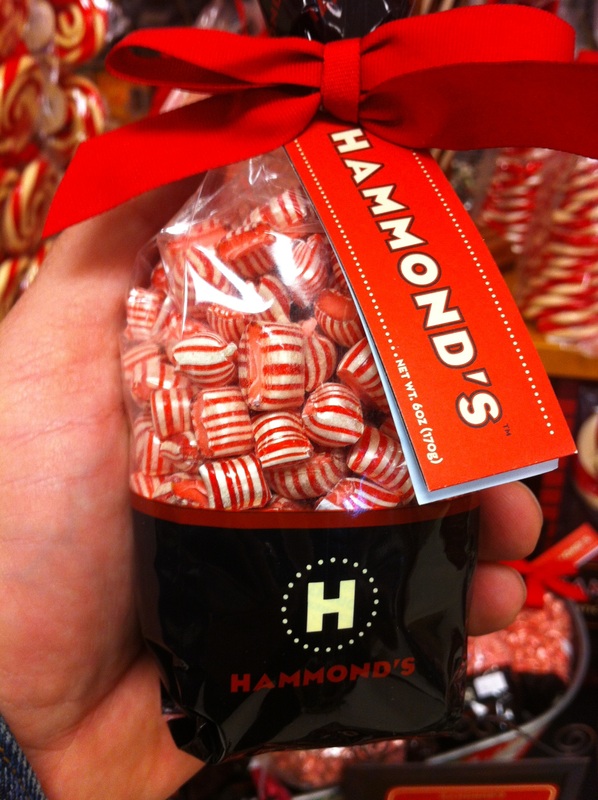 Ohh, and standard peppermint. If you’re into that sort of thing. 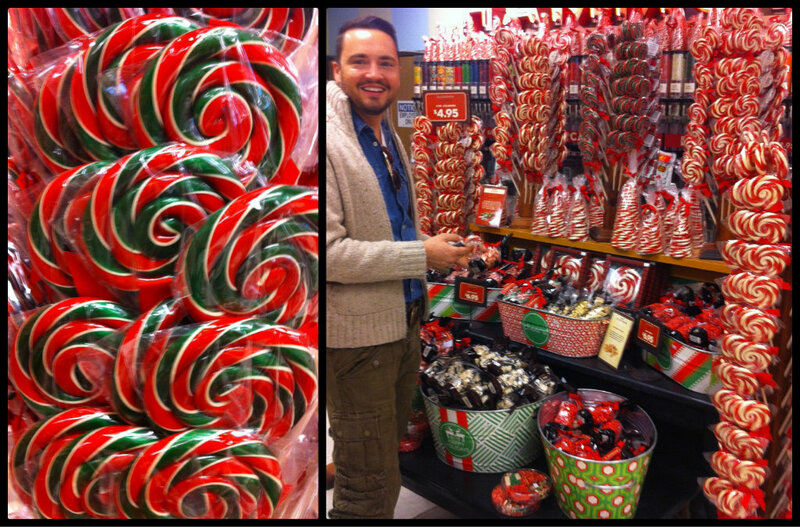 I loaded up on big ol’ candy canes just to tie on Christmas gifts and “Style” into our stockings. 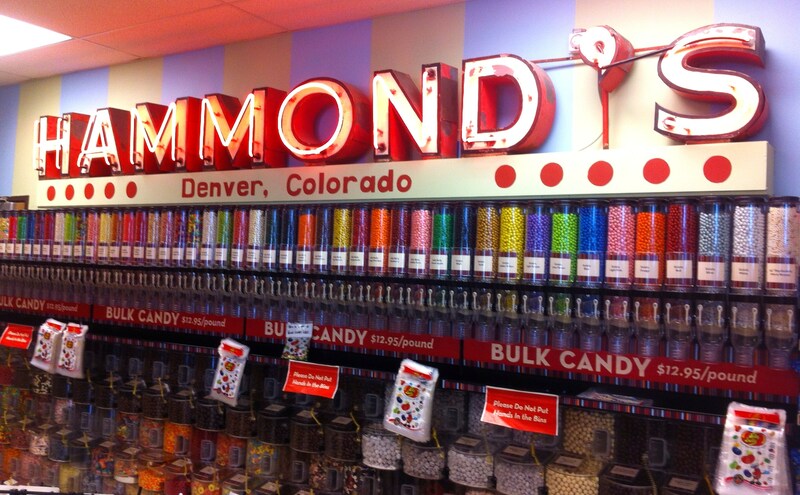 What can you do if you’re nowhere near Denver, Colorado? 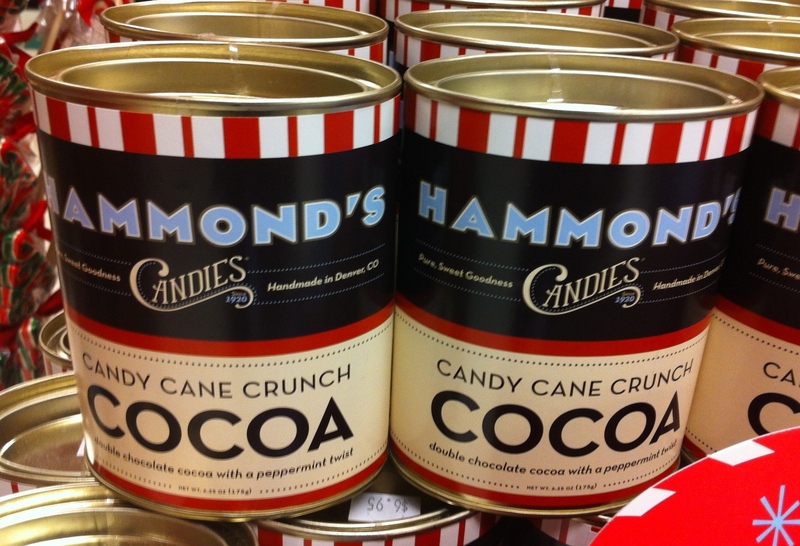 You can shop on the Hammond’s Candies website, of course. 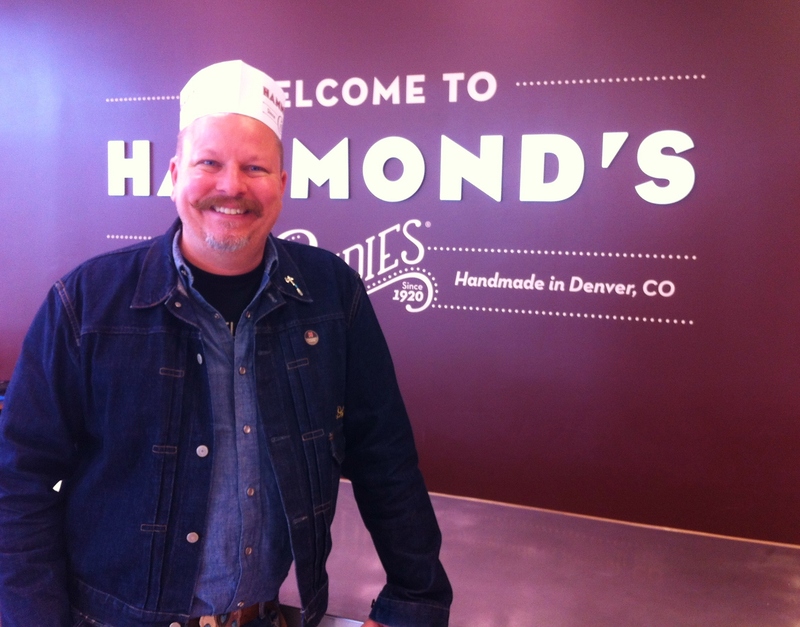 But if you do get the chance…..
Drop by the Hammond’s factory and take the free 30 minute tour, (that’s where I got the cool hat in the first photo). It’s all so pretty and that van is so cute! Thanks for the info, going to the web-site immediately! 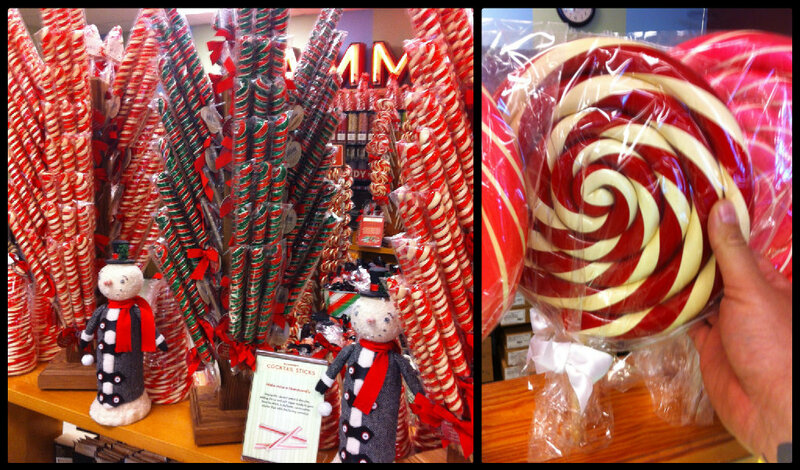 I need those big beautiful candy canes! 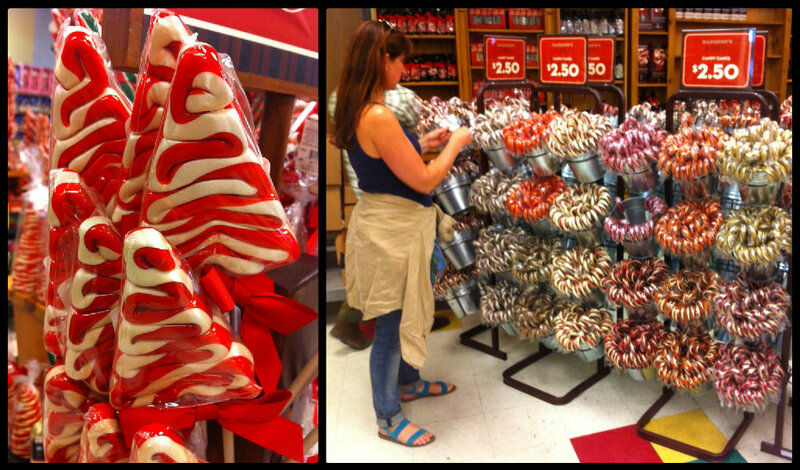 Gotta say, you had a smile like a kid in a candy store! Isn’t it great when something makes you feel that way? It is a happy, happy place….